Tuesday afternoon there was quite a display put on by those who protect the citizens of Paso Robles. Even the California National Guard was there on 11th Street along with the police and fire departments. The closest National Guard base is Camp Roberts, a few miles north of Paso Robles. Many base employees live in Paso Robles and the surrounding area. 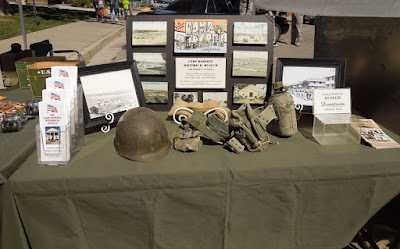 Camp Roberts has its own Historical Museum, and the museum had a display at the August 11 event. This picture shows an exhibit of photos from Camp Roberts. 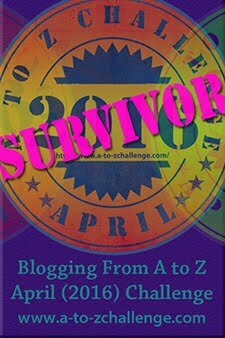 You can expand this photo or any other on this page by clicking it. This photo shows the display in its larger context. The table to the left sold play sets of soldiers, camouflage hats, and toy military vehicles that I assume are also sold in the museum gift shop. 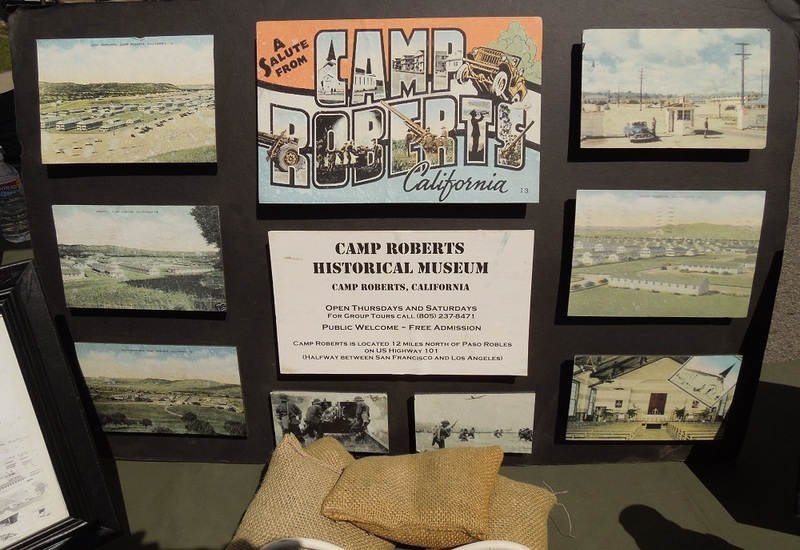 The museum itself shows visitors the history of Camp Roberts - the Army's largest Replacement Training Center during World War II. In 1971 Camp Roberts was given to the California Army National Guard. In the museum you will see two historic buildings full of exhibits, as well as many military vehicles dating as early as World War II. There is also a room for viewing videos and a picnic area. Admission is free. Here is information you will need before visiting the museum. One of the most interesting parts of the Museum display was this army push cart used during World War II. It was there for children to see and touch. 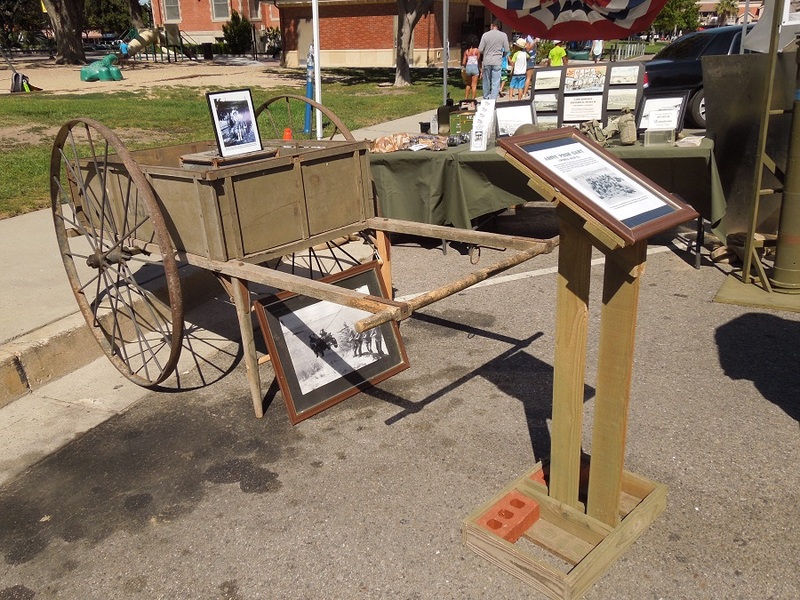 These carts were used not only at Camp Roberts, but also at other Army camps across the nation. Soldiers used them to move light loads of everything from laundry to ammunition for short distances. Find replicas of army vehicles on eBay.